Safety Technology International, Inc. STI-3300 Wireless Doorbell Extender with Receiver for STI 2015 Musical Chime Series. 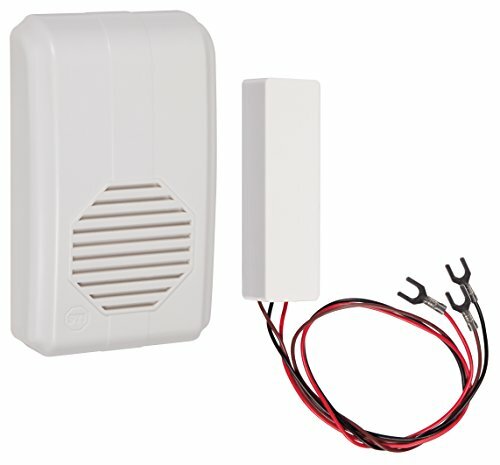 Can't hear your doorbell from the backyard, basement or upstairs bedroom Use this Wireless Doorbell to hear your existing doorbell in another location. The transmitter easily connects to your existing hard-wired doorbell. When a visitor presses your doorbell button the transmitter will signal the receiver to play a doorbell chime. The front doorbell can play one of ten selectable melodies. The second doorbell plays a "dong" sound. For security, there are 32 individual codes to protect against outside interference. Simply plug the receiver into any standard power outlet for doorbell alerts wherever you need them. Unit is FCC certified. Receiver works up to 500 feet from transmitter. Volume adjustment: low, medium, high. STI "We protect the things that protect you."